Come see this sparkling, spacious home and it’s salt water canal location! Sailboat water, canal view in back and St Andrews Golf Course across the street! Extended dock, boat lift and fish station are already in place! The open floor plan and sliders to the lanai invite lots of indoor/outdoor entertaining. Enjoy the fabulous paver lanai, backyard and plenty of room for a pool . A water view from every room! Freshly painted in bright, cheery colors, you will have ceramic tile throughout, split bedroom floor plan, inside spacious laundry room, breakfast nook and a kitchen which boasts stainless steel appliances, tile counters and granite breakfast bar; master and guest rooms on opposite sides of the house. Lots of upgrades and special features including a security system, water softener, under sink RO system, storm shutters, a fully air conditioned garage workshop/office space, walk in closets in all the bedrooms, thermal shades, mature landscaping and much more! Hop in your boat and be in Charlotte Harbor in about 10 minutes then you are out to the Gulf of Mexico! Experience historic downtown Punta Gorda and all it has to offer including shopping, dining, galleries, farmer’s market and lots more. Motivated sellers! Please, send me more information on this property: MLS# C7411516 – $479,000 – 2240 Deborah Dr, Punta Gorda, FL 33950. 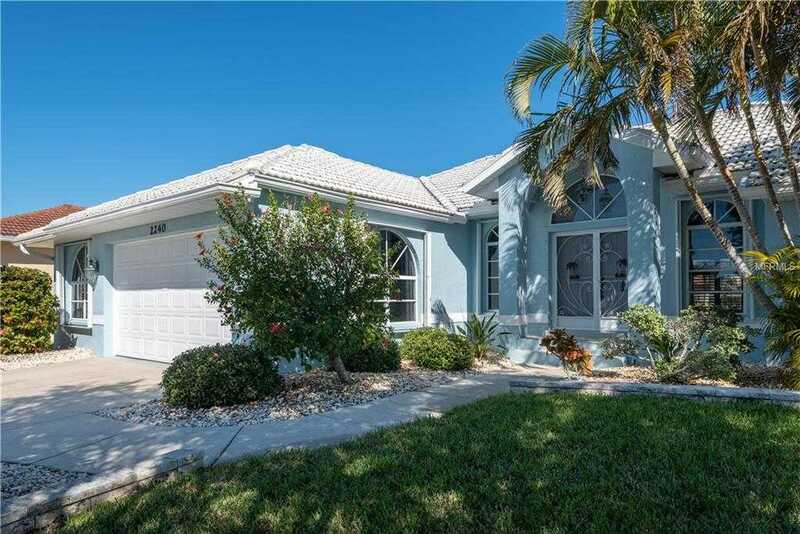 I would like to schedule a showing appointment for this property: MLS# C7411516 – $479,000 – 2240 Deborah Dr, Punta Gorda, FL 33950.